Start off your visit on the 13th (Sat): snap pictures at Golden Gate Bridge, browse the exhibits of SS Jeremiah O'Brien, then take in the waterfront at Fisherman's Wharf, and finally step off the mainland to explore Alcatraz Island. To see other places to visit, reviews, more things to do, and other tourist information, refer to the San Francisco itinerary planner. San Juan, Puerto Rico to San Francisco is an approximately 12.5-hour flight. You can also do a combination of car and flight; or do a combination of shuttle and flight. The time zone difference when traveling from San Juan to San Francisco is minus 4 hours. Traveling from San Juan in July, expect nights in San Francisco to be cooler, around 16°C, while days are slightly colder, around 26°C. Wrap up your sightseeing on the 13th (Sat) early enough to travel to Yellowstone National Park. Start off your visit on the 14th (Sun): witness a stunning natural landmark at Old Faithful, tour the pleasant surroundings at Artist Point, and then explore the stunning scenery at Grand Canyon of the Yellowstone. Keep things going the next day: explore the wealth of natural beauty at Yellowstone National Park. 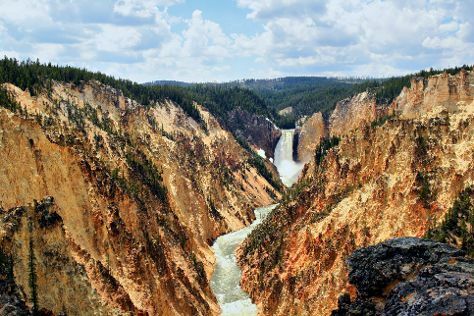 To find traveler tips, more things to do, where to stay, and more tourist information, read Yellowstone National Park trip planner. Getting from San Francisco to Yellowstone National Park by combination of flight and car takes about 6 hours. Other options: do a combination of flight, shuttle, and car; or drive. Due to the time zone difference, you'll lose 1 hour traveling from San Francisco to Yellowstone National Park. Expect slightly colder evenings in Yellowstone National Park when traveling from San Francisco in July, with lows around 4°C. Cap off your sightseeing on the 15th (Mon) early enough to travel to New York City. Kids will enjoy Central Park and Ellis Island. Visit 9/11 Memorial and St. Patrick's Cathedral for their historical value. There's lots more to do: explore the world behind art at The Metropolitan Museum of Art, don't miss a visit to Statue of Liberty National Monument, and take in panoramic vistas at Empire State Building. For traveler tips, more things to do, ratings, and more tourist information, use the New York City trip planning site . Getting from Yellowstone National Park to New York City by combination of car, flight, and bus takes about 9 hours. Other options: do a combination of bus, shuttle, and flight; or drive. Due to the time zone difference, you'll lose 2 hours traveling from Yellowstone National Park to New York City. Traveling from Yellowstone National Park in July, you will find days in New York City are a bit warmer (35°C), and nights are much hotter (26°C). Finish your sightseeing early on the 18th (Thu) so you can travel back home.